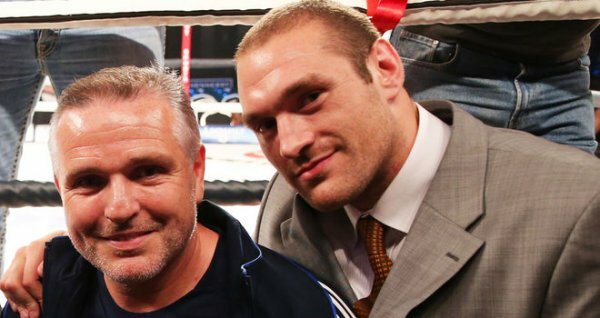 If only to prove I care about things in boxing other than fighters who fought in black and white, I thought I would try and put a few words together about one of the more intriguing figures in modern boxing, Tyson Fury, and what, if any future he has in the sport. I’ll lay my cards on the table at the outset and say I like Fury, sometimes despite myself. In an era of PR varnished dullards across nearly all sports there is something refreshing in Fury’s unapologetically plain speaking ways. I don’t always care for what he says, but distaste at some of his comments aside he is never less than interesting, a claim few of his contemporaries can lay claim to. Prior to his fight with Klitschko I’ll be honest I was less than convinced by Fury and his abilities. I considered myself something of a Furosceptic. However the Klitschko win was inarguably impressive. He went into the back yard of a long standing and dominant champion and he beat him, if not excitingly, then certainly comfortably. It showed a tactical astuteness and a discipline that had not been immediately apparent in his career to that point. It wasn’t just the performance in the ring which I considered impressive, in my view he got the psychological games outside the ring just right. From turning up to the press conference dressed as Batman to threatening to call the fight off were Klitschko’s hands not rewrapped, Fury showed he was not there to make up the numbers and was not going to do anything the Klitschko team expected. For a fighter such as Wlad who has established a method of working and preparing over a long title reign, tactics such as this which threw him off his game and ensured he could never get a read on Fury were absolutely the right ones to employ. However for all that, one swallow does not make a summer, and if Fury was to prove this was not just a Buster Douglas type of right place, right time win he needed to build on this, repeat the trick and prove he could come up with similarly brilliant tactical plans for different opponents. Unfortunately though since that night in November 2015 we have had nothing. A rematch was scheduled against Klitschko in July 2016, and then rescheduled for October of the same year, on the back of a Fury injury. As we all know neither came to pass. I genuinely believe it would be possible to fill a book with the various rumours and conspiracy theories as to why these fights didn’t happen. The initial story was he was suffering depression, then stories of heavy cocaine use began to emerge, before finally allegations of a failed or missed test for performance enhancing drugs appeared. I don’t particularly intend to focus too much on these rumours. This is for the entirely practical reason that, seemingly like most people, I have no idea whatsoever what is going on, or which of the possible causes for his absence are true. 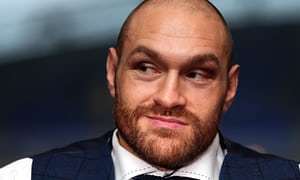 Piecing together the bits of solid evidence that are available it appears Fury has a hearing due this October with UK Anti-Doping, given he will have been out of the ring for nigh on two​ years at that point one would hope we will have a definitive answer as to whether Fury is clear to continue his career. Even if Fury is cleared though we then have the question as to whether he either wants to return or is physically able to do so. Relying too heavily on what Tyson says in interviews is a tricky business, as someone who is completely unguarded in such situations he has a tendency to say whatever is in his mind at the time of the interview. 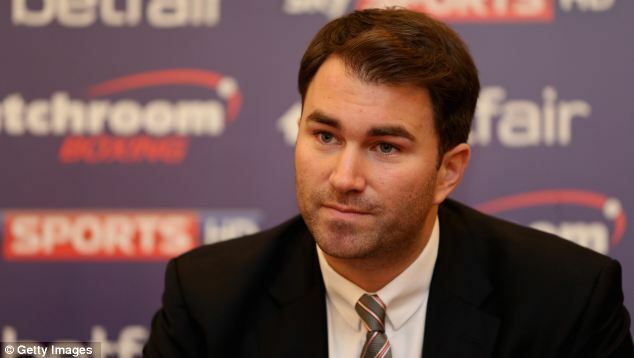 He doesn’t say what his promoter, trainer or the governing bodies would want him to say, if he thinks it, he shares it. His most recent interviews seem to suggest he would be satisfied if he never fought again. How much weight one attaches to this is debateable. With Fury it is entirely possible his next interview will have him claiming he is desperate to return. 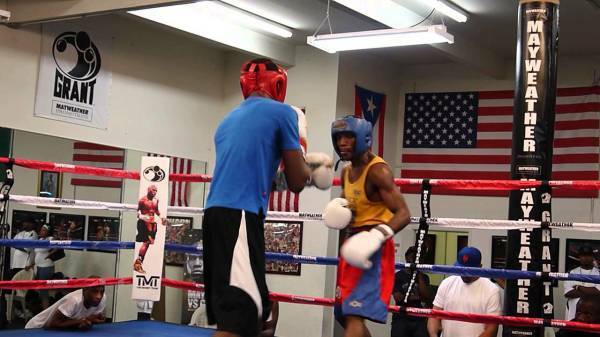 What may be of more concern is whether he will physically be able to make a successful comeback. As anyone who follows boxing on social media will know Fury does not appear to have led a monastic lifestyle during his exile from the ring. I don’t think I would be doing him a disservice to suggest he has tipped the beam around five stone over his optimum fighting weight, or even that this may be a conservative estimate. 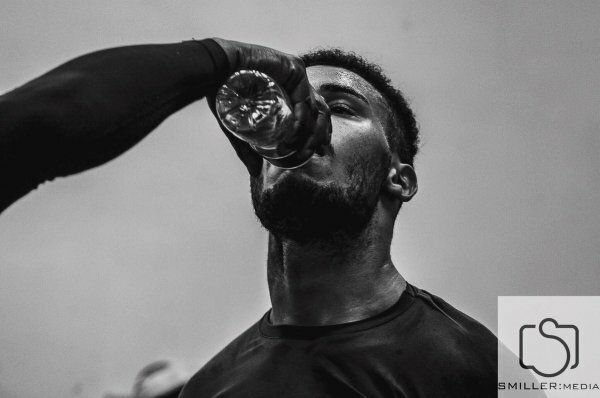 Whilst recent pictures suggest he is removing this excess weight the fact remains a prolonged absence from the ring coupled with unhealthy eating and heavy weight gain are hardly conducive to a successful return to the top tier of heavyweight boxing. It should probably be added that Fury didn’t really have a style which relied on a high work rate or exceptional fitness but the ballooning in weight is hardly suggestive of a guy chomping at the bit to get back to action. Where this leaves Fury is anybody’s guess. Hopefully the hearing which appears to be happening in October will clear up many of the questions which remain unanswered. One would hope the hearing would also provide an answer as to whether Fury is cleared to return or not, and if he is cleared the definitive date for this. From a personal perspective I hope he is cleared to return and he finds the motivation and will to do so. As I said at the top of the piece I like the guy. Whilst I can live without the homophobia which is an all too frequent part of his interviews he is undeniably a character and boxing, as much as any sport, needs them. Also his return intrigues me. The Klitschko fight demonstrated Fury was clearly more than the self-upper-cutting, singing in the ring buffoon he had often been billed as previously, finding out how much more is genuinely an interesting question. Whatever you think of Fury though, as a fan of the sport of boxing if the thought of Fury vs Joshua doesn’t get you a little bit excited you’re probably watching the wrong sport. We’d have a situation in that fight matching two unbeaten heavyweight fighters, both with reasonably legitimate claims to be the best heavyweight in the world meeting to decide the issue in the ring. We’d probably have to go back to the first Ali Frazier fight to find a directly comparable situation. The fight is a seemingly easy sell. Joshua is already a hugely popular figure and Tyson is a born showman in front of a camera, this would be a genuinely huge fight, both here and globally. With the sport unfortunately dominated by the freak show that is Mayweather McGregor currently, this would be just the sort of fight and event the sport needs. One final point I’d conclude with is that one of the immutable truths of boxing, which is as true today as it was in John L Sullivan’s days is that in order to be the man, you have to beat the man. Fury did that, if he is not to return it denies the likes of Joshua, Wilder and the other contenders to heavyweight glory the opportunity to earn their laurels, and the legitimacy attached to them, the right way. 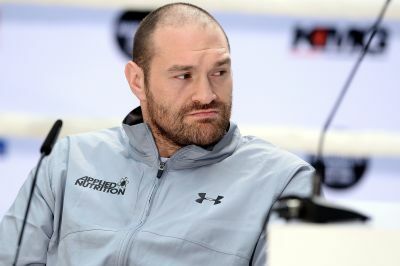 Whilst Fury has been stripped of most, if not all of his titles, if he is to return many will still consider him the man to beat, seeing if there is anybody out there capable of doing so is what Fury, the heavyweight division and the fans deserve.